coffin-like memorials inscribed with the names and dates of the human beings documented to have been lynched in counties across the U.S.A. This one shows three victims in Russell Co., VA. There are similar memorials for Tazewell Co., Smyth Co., Scott Co., Wise Co., VA, and Johnson Co., TN. As well as many more in other counties in these and surrounding states. 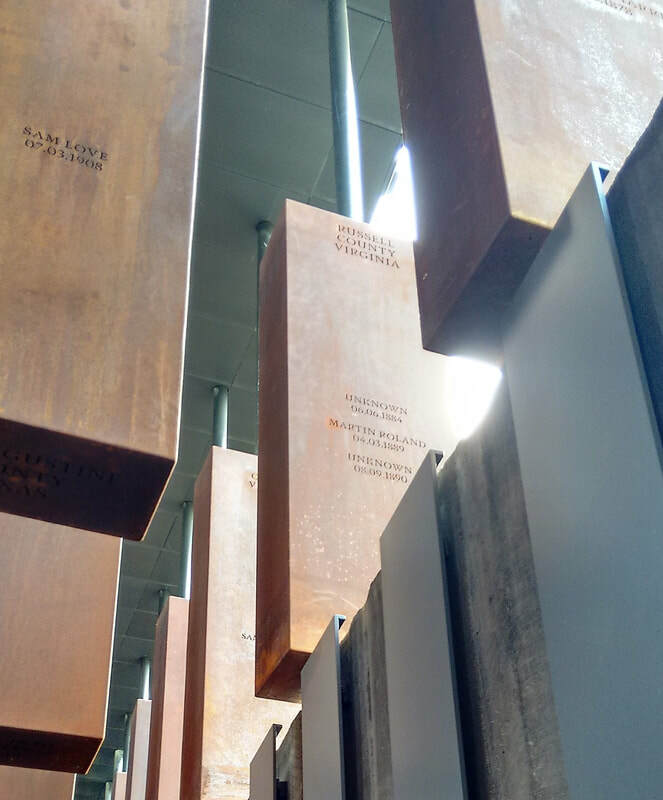 In a heartbreaking lynching hot spot, seven lynchings are recorded in Tazewell Co., VA and nine more across the border in Mercer Co., WV. APEC sponsored a presentation in by Dr. Michael Ketterer in October. Dr. Ketterer offered a detailed explanation of his research -- aided by APEC and local residents -- on human-caused uranium and plutonium pollution outside of the Nuclear Fuel Services and AreoJet plants near Jonesborough. About forty people attended his talk. Ketterer's research clearly confirms that human-introduced uranium and plutonium exists outside these plants in greater quantities than would be expected. ​You can read about his presentation that appeared in the Greenville Sun. 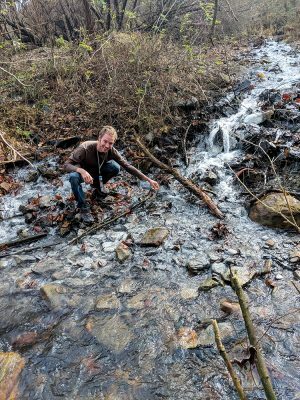 "Once a month, Jason Von-Kundra joins a small group of fellow concerned citizens to test water flowing from a strip mine in Wise County, Va. Although the Meadowview, Va., farmer doesn’t particularly enjoy these monthly trips to the active mountaintop removal coal mine, he sees them not as a choice, but as a calling. 12:30 pm: "People Like Us: Building Allies for Justice" Jerry Hill. Charles Wesley UMC, 322 East Main St.
2:00 pm: Martin Luther King, Jr. Celebration - Abingdon UMC, 101 East Main St.
​A reception will follow the celebration. not affiliated with any church or other organization.